For generations, products promising to “turn back the clock” have been the bread and butter of the beauty industry. According to a study from Orbis Research, the global anti-aging market was worth $250 billion in 2016, while searching for the term “anti-aging” on Sephora’s website turns up 1,700 results, from the usual serums and creams to anti-aging shampoos, herbal supplements and silk pillowcases. The fight against age is also a persistent topic in women’s media—especially glossy magazines like Condé Nast beauty bible Allure. Until now, that is. That decision is emblematic of the refreshingly modern point of view that Lee brought to Allure when she joined the magazine in 2015. Allure’s subscription beauty box has seen 40 percent growth in the past four months thanks to a revamped product strategy and new website. One of the many ways that Lee is helping Allure meet that goal is by bringing more diversity to the magazine’s pages—which, she makes sure to point out, isn’t just a talking point. “In media and elsewhere, I know ‘diversity’ is definitely a buzzword right now, but the thing that makes me the most proud of our diversity is that I truly do believe that it’s coming from a totally real and raw and authentic place,” she says, pointing to content like the magazine’s April cover feature, which featured 41 women of color sharing their candid thoughts on race, inclusion, politics and more. And it’s not just ethnic diversity that Allure is spotlighting. “If we really do want to be inclusive and diverse with what we cover, it’s important that we don’t look at diversity in such a narrow way,” notes Lee. To that effect, she championed a new video series, Dispelling Beauty Myths, which features women talking about everything from body hair and weight to albinism and mastectomies, brought transgender activist Janet Mock onboard as a contributing editor, and put Muslim model Halima Aden on the cover of the July “American Beauty” issue, marking the first time that a woman in a hijab had ever been featured on the cover of a major American publication. In July, Halima Aden became the first hijab-wearing model on a mainstream U.S. magazine cover. While Lee admits that she wasn’t sure early on how Allure’s longtime fans would react to the brand’s shifting point of view—“People can be very allergic to change,” she says—the transformation has been a massive success with readers both old and new. As of August, Allure’s average monthly cross-platform audience had grown 30 percent year over year to 5.9 million, per MPA – The Association of Magazine Media. Its drastically redesigned website, led by digital editorial director Phillip Picardi (who also holds the same title at Teen Vogue), saw traffic increase 24 percent YOY in the third quarter, while video views are up more than 400 percent to 10 million from 1.6 million. 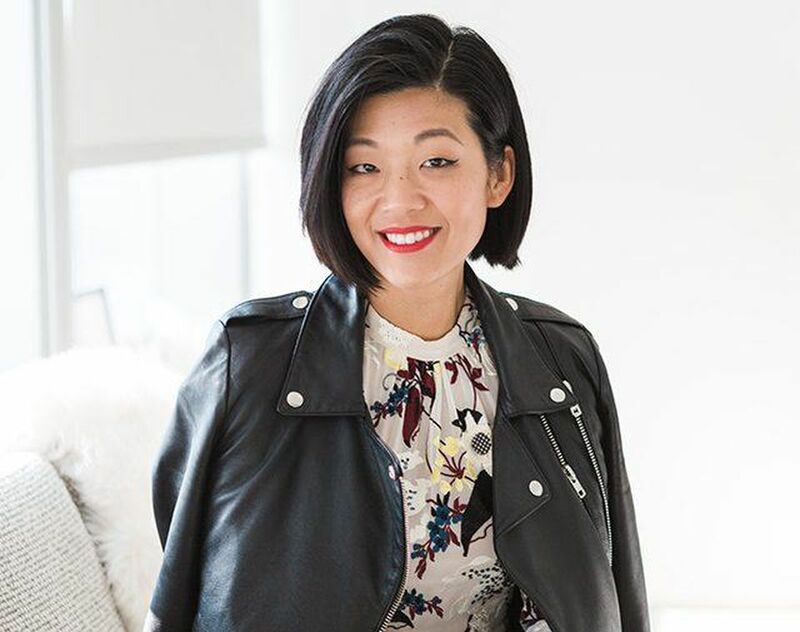 Lee is already setting the stage for more innovation in 2018, noting that she wants to bring the Allure brand to readers with more consumer-facing events, ecommerce integrations (in fact, she recently hired two new staffers to focus on ecommerce specifically) and personalized digital products (like the new Best of Beauty chatbot that lets readers get beauty recommendations from Allure editors). Adweek: When you joined Allure last year, you replaced Linda Wells, its founding editor of 24 years. What was that transition like? Michelle Lee: I have such huge respect for Linda. She's an icon. I definitely think that when I came in, people were nervous, and I totally expected that and understood that. So over these past couple of months, it's been a big goal of mine to have total transparency, and I think that having that culture of "let's talk about stuff" has put people's minds at ease. But I also think that once people hear what the new vision is, it makes them feel good about things. So what is your vision for the magazine? The million-dollar question! My big goal here was really refreshing the entire brand. I had been a huge fan of Allure, but looking at the past 25 years, beauty has changed so much with the Internet, with YouTube, with social media, with everything. What Allure has always been really great at is giving information, so I want to build on that and add a whole new level of inspiration. Visually, my big thing was that I wanted to see more people, more interesting women. I want to establish a look for us that still feels like Allure but is more approachable. Diversity is also very big for me. Growing up, I remember being really frustrated when I'd read about how to put on eyeshadow and think, "That doesn't really apply to me." How does Allure.com compete digitally when there's so much content being created by bloggers and vloggers? I probably have this conversation about once a week. Where I think a lot of brands have gone wrong is to try to compete with YouTube. You can't compete with YouTube! It's a completely futile fight. What I do think is smarter, though, is to partner with them. We very actively are looking at different vloggers and influencers who we feel are on brand with us. At Nylon, in addition to being editor in chief, you oversaw branded content as CMO. Do you have a hand in the business side at Allure? I'm personally very excited about branded content. It's a whole other way for editors to be able to flex their creative muscle. I always say to people, too, that as an editor, you want anything surrounding your own editorial content to be the best it possibly can be. If you're creating amazing content but there are terrible ads next to it, it makes everything look bad. So here at Allure, I'm not technically a marketing person, but because of my background, I like involving myself in that. How has it been going from a small publication like Nylon to Condé Nast? I've been very fortunate in that I've gotten to work at all different sizes of companies. Working at a smaller company, I think that necessity breeds creativity. On the downside, at a smaller company, you don't have as many resources, so coming to Condé Nast has been amazing. At Nylon, I would wear 20 different hats; now it's like, "There's a department for that!" But even though we have these amazing resources, I sort of always feel like I'm in startup mode. I think that having that startup fire and that scrappiness has been a huge factor in my success in the past, and I don't want to lose that. This story first appeared in the Feb. 22 issue of Adweek magazine. What is NYLON? Can you talk me through your vision for the magazine? The word everyone uses to describe NYLON is "cool." It means different things to different people. I still think cool is a good way to define brand, but the word I really like is "rebellious." I've worked for other women's magazines — for Elle, Lucky — and all those magazines have a great voice. At the same time, NYLON should stand alone, it should have this rebellious spirit, every single page in the mag should look different than every other women's mag. You have a background in content marketing. How will that experience come to play at Nylon? Being a business owner gives you a different perspective on things — you start to look at everything, from budgets to revenue, and you start to look at how you can grow a brand in a lot different ways beyond content. I don't know many editor in chiefs who can say that. I've worked in digital, and I've worked in print. I do like to have my hands on things with the NYLON brand on it, even if it's not strictly editorial, is important to have in mind with message we want to put out [and that includes native ads]. As the Chief Content and Strategy Officer at Magnified Media, Michelle worked with globally recognized brands, helping them to craft stories and exciting campaigns about their brands. While there, she helped raise the social media profile of a major national skin care brand by 500% in one month and completely revamped the web site of a luxury cosmetics/skin care brand into a mobile-first, responsive, engaging experience. In a September that has seen an unprecedented amount of black women on magazine covers (with 11 to date, at the time of writing this article), it's more than fitting to spotlight one of the leaders in the publishing industry at the forefront of this positive change. 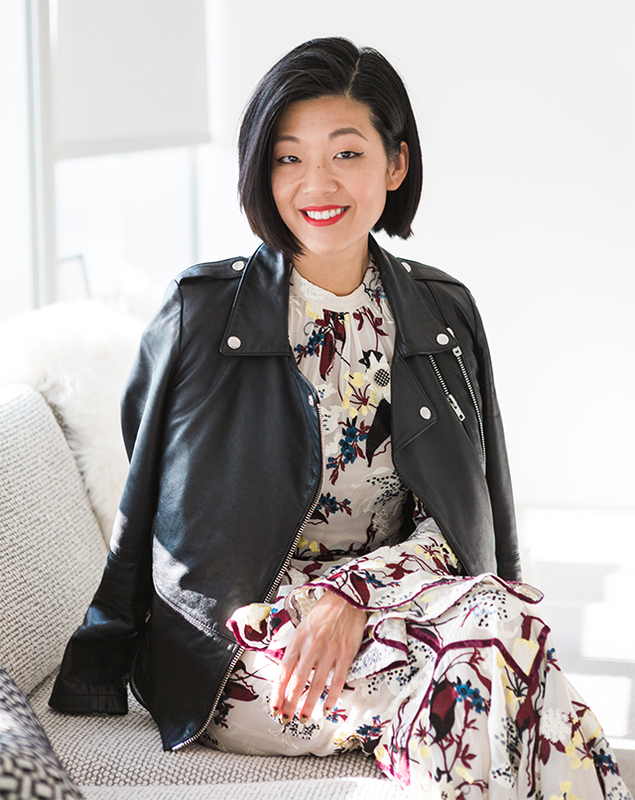 Since starting her tenure as Allure editor-in-chief in November 2015 (she was previously editor-in-chief and chief marketing officer at NYLON), Michelle Lee has changed the conversation about inclusion in beauty. And she walks the talk. In a May 2018 Allure article penned by Lee, she talks about the importance of inclusivity: "I’ve come to see representation as something even deeper now. We showcase and celebrate different versions of beauty so we can — finally, wonderfully — see one another." A look at Allure's issues in recent years underscores its mission (to challenge old-fashioned views of beauty and broaden the definition of what society deems beautiful), most notably March 2018's "The Culture of Hair" issue and June 2018's cover featuring three Asian cover models. And in one of its boldest moves yet, model Halima Aden graced the July 2017 cover in her Nike hijab, which made a larger cultural statement about what American women look like, and how diverse and wonderful American beauty can be. Karin Eldor: Congratulations on taking a stand against the term "anti-aging”! What led you and Allure to make the decision to ban the word in 2017’s September issue, with Helen Mirren on the cover? Michelle Lee: Thank you! In the beauty industry, aging has been a dirty word for decades. Phillip Picardi, Allure's digital editorial director at the time, had brought up the concept initially, asking, “why do we still use the term, anti-aging?” Society has told us for years that aging is something that we should feel ashamed about: that you’re “over the hill” or that you should lie about your age. And the term anti-aging helps to reinforce those negative thoughts. We’re all privileged to grow older. Eldor: What advice would you have for a high school or college student who wants to get into publishing? Lee: Write as much as you can for a variety of outlets. Students often ask if having a blog helps: it can, if you keep it up-to-date and it presents you in a positive light. But having published clips from several trusted, reputable outlets will take you much further. And aim to showcase different types of published stories, such as personality profiles, long-form, news, etc. Also, I always urge everyone, especially if you’re still in school and can add some extra coursework in a relatively easy way: learn business. The track for journalists when I started out was that you go to journalism school, become an assistant, then a writer, then an editor. But at some point, as I ascended the ladder, I became a manager and then I started interacting with the advertising and marketing teams. Today, I work with budgets and finance and talk about ROI and EBITDA (Earnings Before Interest, Taxes, Depreciation and Amortization) more than I ever thought I would. Eldor: What's the best business advice you've received, to date? Lee: You can’t make everyone happy. And if that’s what you’re aiming for, you’ll make no one happy. Lee: Well, you’re correct that there’s no typical day! When I’m talking to people who don’t know a lot about media, I’ve often described my job as being like the director of a movie. I make a lot of decisions throughout the day and help orchestrate many moving parts with some incredibly talented people in different departments. I usually wake up at 6am, check emails and see what my calendar has in store for me. I try to see my kids off to school, then head to the office. The biggest variable in my day is meetings. There are certain days when my amazing assistant Jesa and I will look at each other like, “what is even happening today?” because my schedule is so jam-packed, minute by minute. It could be an ideas or visuals meeting to discuss photography for an issue. Or I meet regularly with our business team about campaigns, experiences, or our other businesses like the Allure Beauty Box, or I may have an external meeting. Other days, I could be on-set filming branded content or social media. I usually eat lunch at my desk. I’m very driven by food and get jittery if I don’t eat. It’s one of the main reasons why I check my calendar in the morning: I need to make sure I have time to eat! At night, I’ll sometimes have events, and I’ve been traveling quite a bit lately. In between, I’ll sign off on page layouts, read stories, approve videos, and answer lots of emails and Slack messages. Eldor: What would you tell your 18-year-old self? Lee: I wish I could go back in time and tell myself that it’s okay to be weird and different. I spent a lot of my younger years trying so hard to fit in, when, today, I realize that the traits that make you special and successful are the traits that set you apart. Eldor: How can we ensure, as a collective, to keep the conversation about inclusivity in beauty going, so that diversity becomes the standard, every day? Lee: There has to be a constant examination and re-examination of our decisions every day until diversity and inclusion becomes a routine part of everything we see and do. Part of that is who, and what, we decide to show the world. People in media, entertainment, marketing, and advertising have the ability to help shape culture. We have a responsibility to celebrate a more inclusive image of beauty. Diversity has become a buzzy word in beauty this year, to the point that brands will be called out for lack of it. It’s not enough to think of diversity as a box to tick off. And the other part of all of this is who we decide to hire. Diversity in beauty and in any industry will improve, if we hire from a more diverse pool of candidates. Eldor: What advice do you have for a young woman who wants to use her voice to challenge the status quo? Lee: After the election, I wrote a personal, raw editor’s letter about my experience with racism. And some readers wrote in saying, “Allure should stick to beauty, stay out of politics.” But to me, beauty and appearance are so intertwined with skin color, gender, body politics, even religion. My advice would be to think about the many different ways you can challenge the status quo —because there are a lot of them.